You may have heard about Additive Manufacturing and 3D printing, but what does it mean ? Are these two terms referring to the same process ? In this blogpost, we are going to explain to you the difference between these two expressions. We’re also going to give you some explanations about their functioning and their utility for you and your business. 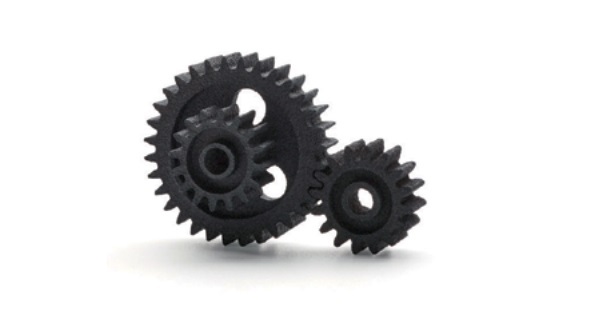 What’s the difference between 3D printing and Additive Manufacturing ? Actually, 3D printing and Additive Manufacturing are synonyms. There is no difference between 3D printing and Additive Manufacturing, as those terms both designate the process of creating an object by addition of material. They are referring to the exact same processes: layer based manufacturing techniques. These appellations can be used interchangeably. Even if these terms are both referring to the same manufacturing process, there’s a minor distinction in their common use. The term “3D printing” is more often used by the media and the general public. Whereas the term “Additive Manufacturing” is majoritarily used by professionals in the industrial sectors. It is admitted that Additive Manufacturing designates a professional use of those technologies. Additive Manufacturing is the opposite of subtractive manufacturing (like milling, folding, molding, for example). With those techniques, the idea is to work on a volume and remove material to obtain the desired shape. With Additive Manufacturing, the principle is to add more material to create a 3D object. It allows you to make small batches, detailed models, efficient prototyping, or production. Selective Laser Sintering, to create parts additively by sintering fine polymer powder particles, to fuse them together locally. The plastic parts are created layer by layer. Polyjet, to 3D print resin. 3D printers jet layers of liquid photopolymer onto a build tray. Clip (DLS), where a liquid resin is solidified by UV light layer by layer to create a rigid and detailed part. Colorjet, to create composite multicolor prints, thanks to a fine powdered material. Binder Jetting, for metal parts. A binding agent is deposited on the metal powder material, layer by layer, according to your 3D model. Direct Metal Laser Sintering to create parts additively by sintering fine metal powder particles and fuse them together locally. Selective Laser Melting, to create parts additively by fusing metal powder particles together in a full melting process. The metal part will be created layer by layer, according to your 3D model. They are all Additive Manufacturing technologies, used to create 3D printed objects. Thanks to them, you can produce metal, resin and plastic parts quite easily. What about Rapid Prototyping, Direct Digital Manufacturing and 3D Manufacturing? There are various appellations, and you might get a little bit lost but they are all referring to additive processes. Direct Digital Manufacturing and 3D Manufacturing are the exact same thing. Rapid Prototyping only refers to one application of this technology, because 3D printing allows to create prototypes faster than traditional methods. For the moment Rapid Prototyping is still the major use of 3D printing in many industries. But it may not last forever. Indeed, in our last report, The State of 3D Printing 2017, a growing 22% of our respondents were using Additive Manufacturing for production. It will rapidly become a way to rethink your whole supply-chain. The 3D printing market is becoming more mature, as its use is more and more common in various sectors for R&D, prototypes or production. It could be a key to develop your business. We saw previously in this blogpost that there are various techniques available to 3D print an object. To be able to print a 3D object, you need to build a model with a 3D modeling software adapted to your needs, and to your level of expertise. Once it’s done, you can upload your 3D file on an online 3D printing service like Sculpteo. Then you have to choose the material you want to use and you can set different options. You’ll get a quote immediately. Then, your model will be 3D printed in the 3D printer corresponding to the technology that you chose, and you will receive it in a fewdays. As you can see, it couldn’t be more simple! Why should you definitively use 3D Printing? Reasons why you should use Additive Manufacturing are numerous. But you have to keep in mind that it could be a great help for your business, whatever your sector. It could bring you many opportunities, improve your product development process and allow you to work on complex designs. This technology is an affordable solution to give life to all of your ideas. If you want to know more about how an additive process can help your business, check out our top 9 of the best arguments to convince your boss to use 3D printing. We hope that you understand now the difference between 3D printing and Additive Manufacturing. You want to try it? Upload your 3D model right now! If you have some more questions about Additive Manufacturing, contact us!